Behind the scenes at the well-equipped and spacious new nursery in Abu Dhabi. 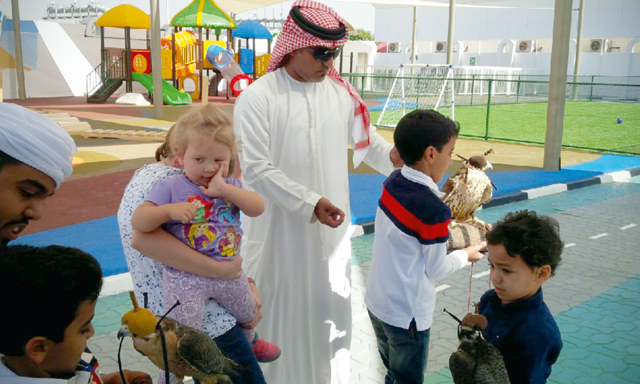 With a spacious playground that offers youngsters everything from a F1 racing car, a boat, a camel ride to even a tree house, we find out exactly what sets the newly opened Falcon British Nursery aside from the rest. Choosing a nursery that has had positive reviews, or is known for its good reputation can be a tricky task for parents. Not only can the vast range of nurseries be daunting, but the yearly fees and curriculum structure can also add to the headache of choosing the right nursery to suit your child’s needs. One thing is for certain, it is important to choose somewhere that provides the type of learning environment you want for your child. Amelia Brown, Principle at Falcon British Nursery, talks to Time Out Kids. What are the key aspects of the nursery? Our motto is ‘intelligent happiness’. The Falcon British Nursery, named after our falcon mascots Farah and Fahim, believe that learning should never be a chore. Our core beliefs are; education excellence and continuous improvement, integrity, fairness, quality, but above all standardised teaching and active learning. We follow the internationally recognised and standardised British Early Years Foundation Stage birth to five years curriculum. For each age group, a set of structured benchmarks related to the early learning goals for every area of learning are used to assess your child in order to drive their learning experience each week. Children are assessed against these age and stage appropriate benchmarks throughout their time at The Falcon in order to provide individual tracking of their progress and attainment. The nursery has a large outdoor playground, what is it like? Our outdoor area is extensive! Our designer rubber flooring is made from natural rubber from Australia, not recycled rubber tyres, so there is no chance for toxic mercury laden fumes to penetrate the air our staff or children are breathing. Anyone can open a nursery and throw in a plastic sandpit, plastic house and a rocking dinosaur. But, as anyone who has ever been a language teacher will tell you, context is everything. Our playground is divided into zones – new and old UAE to link to the context of the land we are surrounded in. Linked with our British benchmarks, it creates an exciting combination. Why do kids love the nursery and playground? What makes a good playground? Space and a little bit of something magical. Our nursery explorers can take a boat ride from the Mina, fly to unknown lands from Abu Dhabi airport, shop at our Mushrif Mall or try our new Etihad rail wooden sit-on train. They can lounge in style in their bedouin tent, play music, ride a camel or play football. If that gets dull, they can race on our Yas Marina F1 circuit or clamber on our 15-metre climbing frame. Or just play measure, dig for pearls, number shells in our sand, draw on our large chalk board, learn about gravity at the water zone or explore the nature table. If you go to the zoo, there are often animals in little enclosures pacing back and forth. They need space to thrive and so do children. Why read a story in the corner of a small classroom? We have extensive areas to explore. A picnic story on the football field, a science story in our science lab, a night time story in our sensory room, or a story in the sky in our tree house. What makes the Falcon British Nursery stand out from other nurseries? Safety is first for us. Our parent entrance is separate from our children’s playground and buses drive into the school before children disembark in safety – not a speeding car in sight. We offer a standardised British curriculum, teach three languages and are undergoing UK nursery accreditation. We have a role play mini city called Falcon City. Combined with school facilities, dedicated staff, a combination of teacher-led activities and child chosen options during every part of the day – we are not your average nursery. We also offer value for money fees and flexible hours which make us a good option for all parents. We are transparent as well as an eco-school – reducing our paper waste helps us reduce our carbon footprint. Lastly, we offer discounts – 30 percent off on first term fees for any parent at any time, no registration fees this term and discounts for corporates, siblings and referrals makes education costs easy to bear. Tell us about the Early Years Foundation (EYFS). The Early Years Foundation Stage (EYFS) sets the standards that all early years’ providers must meet to ensure that children learn, develop well and are kept healthy and safe. Six weeks up to five years. This is the most important period of brain development in a child. How many children does the nursery hold? Maximum 16 in a class and we have two buildings. Space is not an issue at our nursery! Falcon British Nursery has one key worker for each group of 16 children. Our assistant teachers all have degree qualifications in education or nursing. Falcon British Nursery, 200 Saif Ghobash Street, Abu Dhabi. 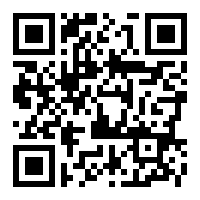 For more information visit www.falconbritishnursery.com or call 971 2 444 8814.